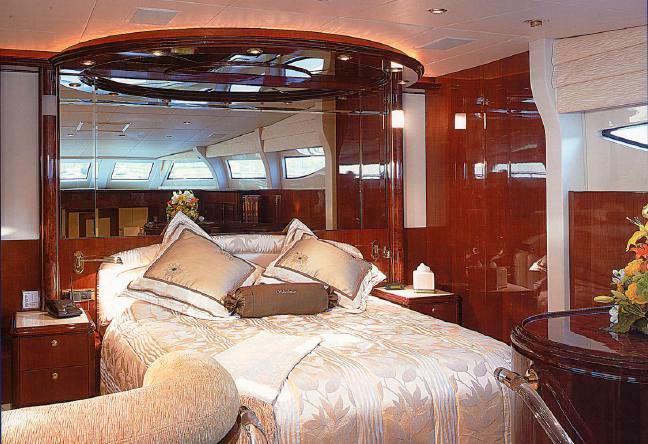 Luxury motor yacht NO RULES was built in 2003 by the German shipyard Kaiserwerft. 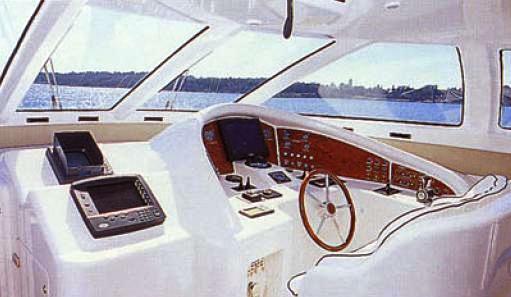 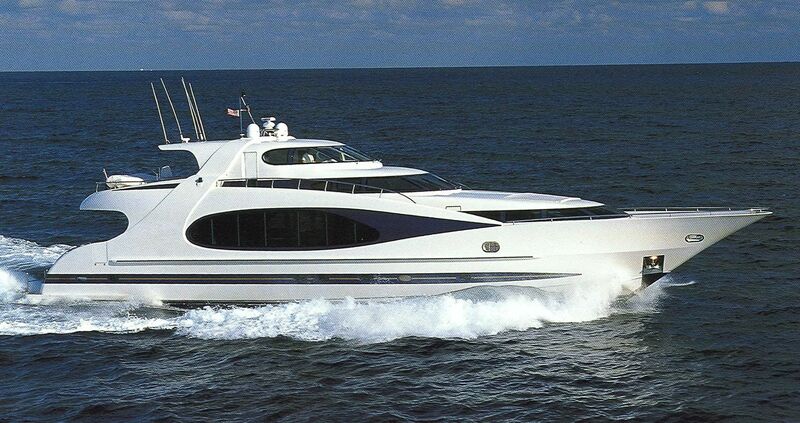 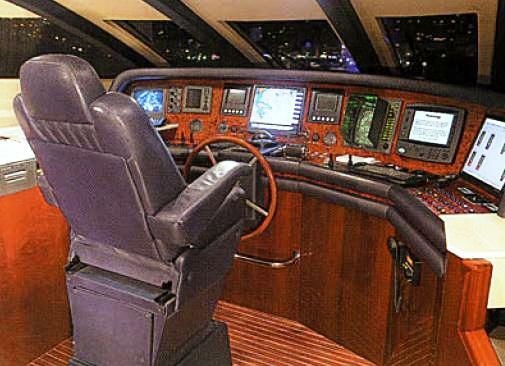 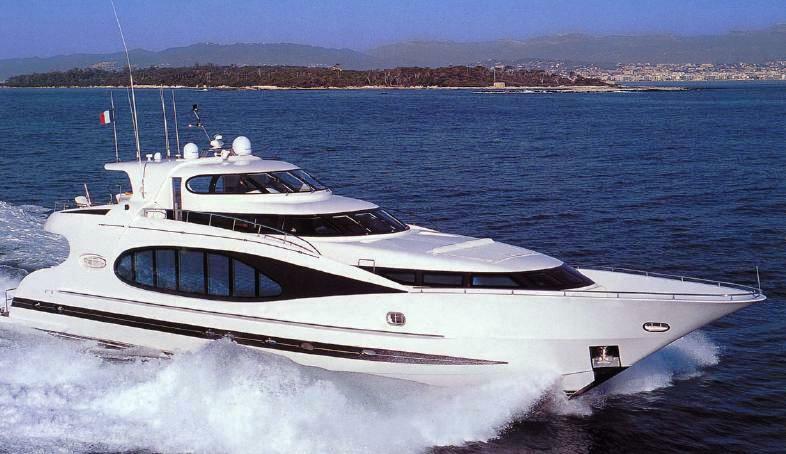 She is built out of composite GRP and is a fast planning hull motor yacht with a maximum speed of up to 24 knots. 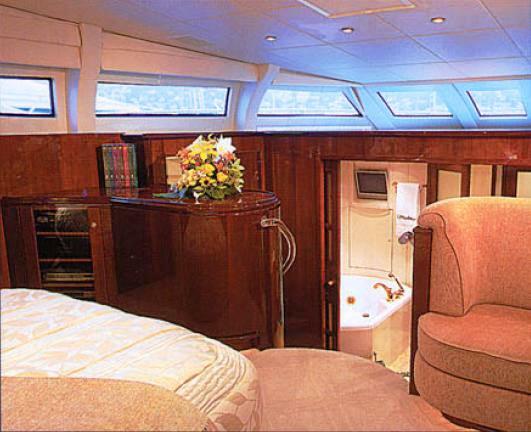 Her interior, while modern and recent, is also tasteful and classic in style. 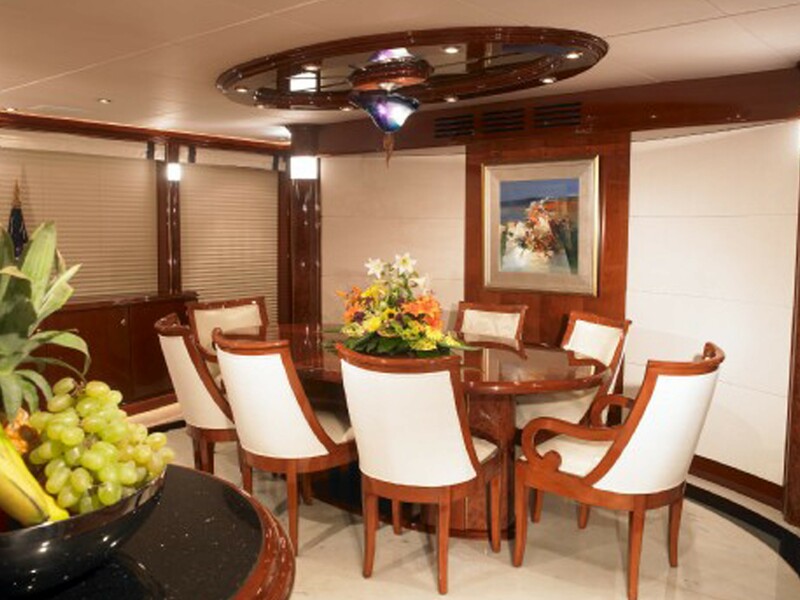 The interior design features high gloss cherry wood which is beautifully offset with a lovely inlayed walnut veneer, cream carpets and rich soft furnishings. 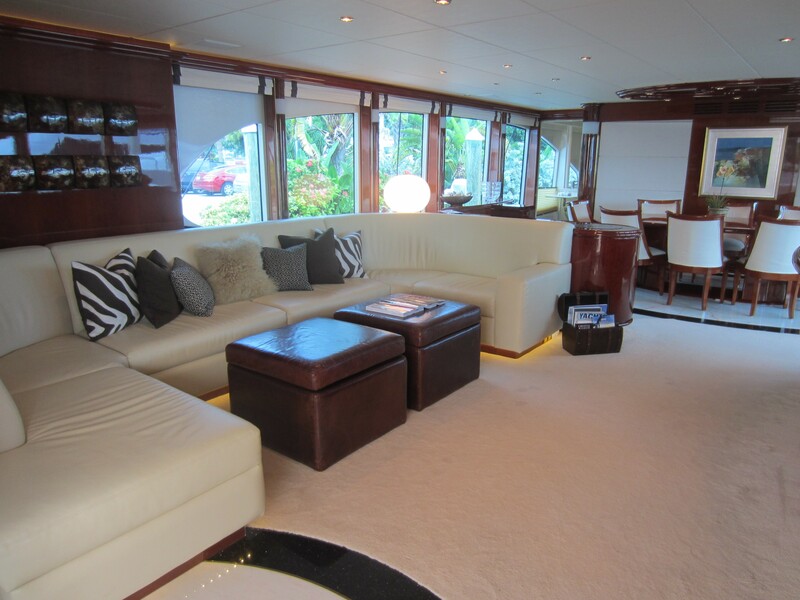 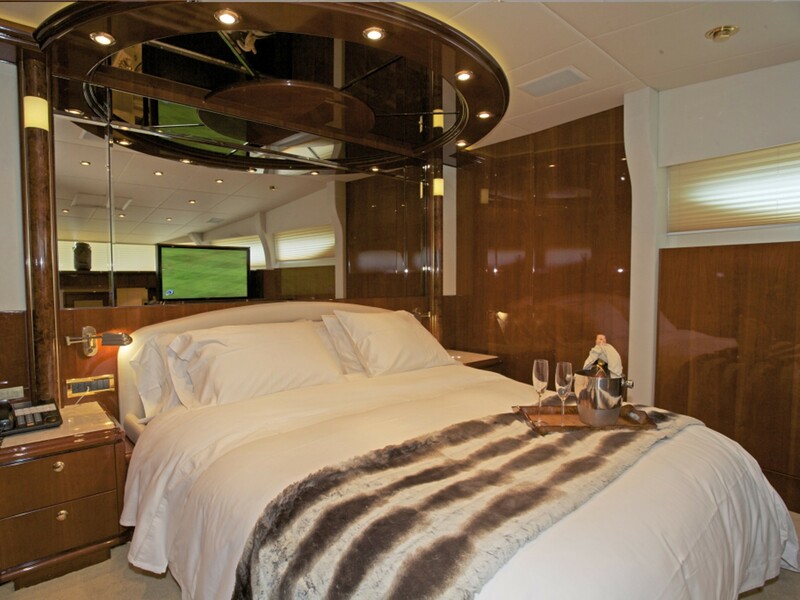 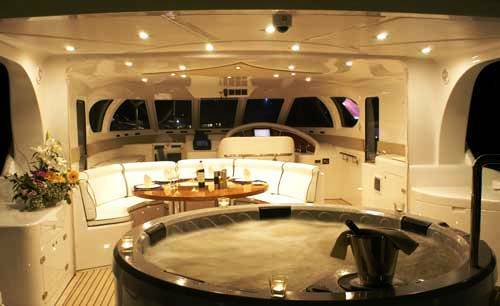 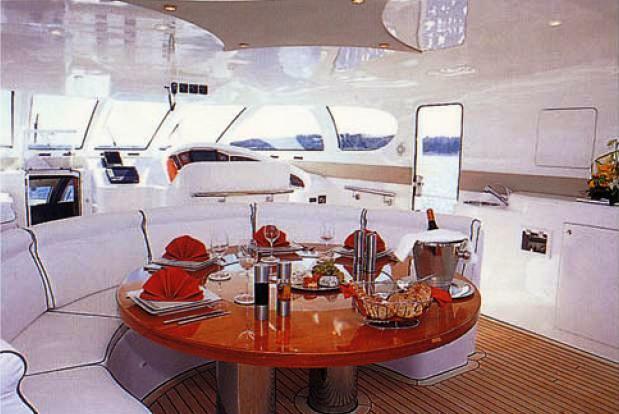 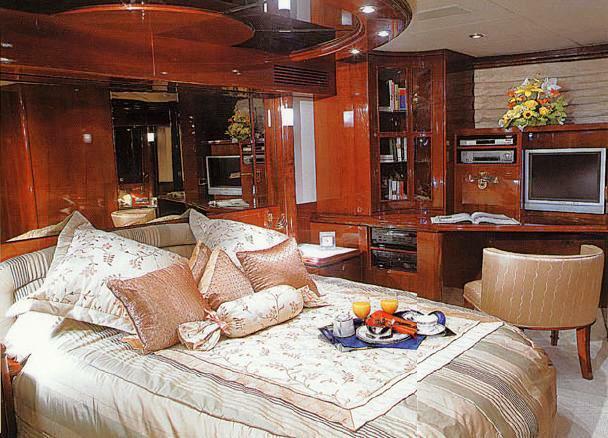 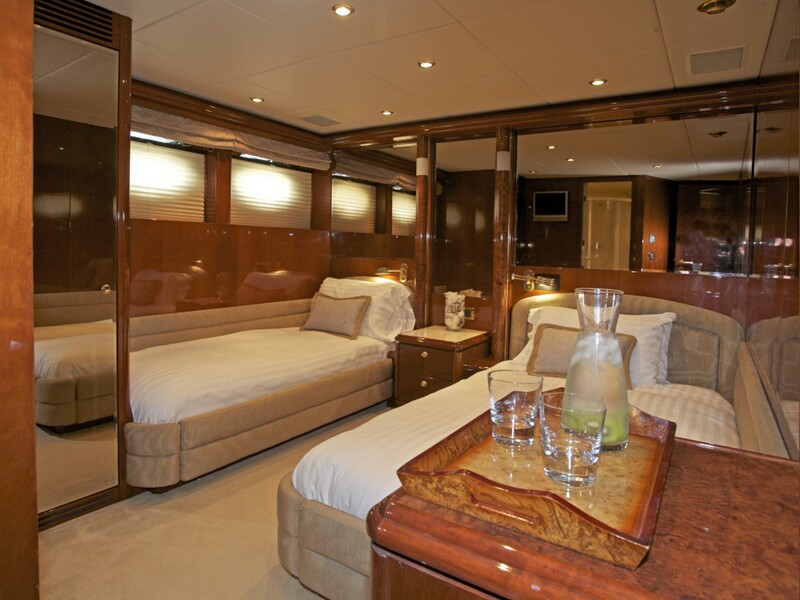 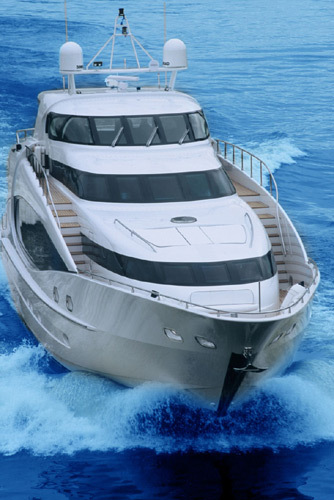 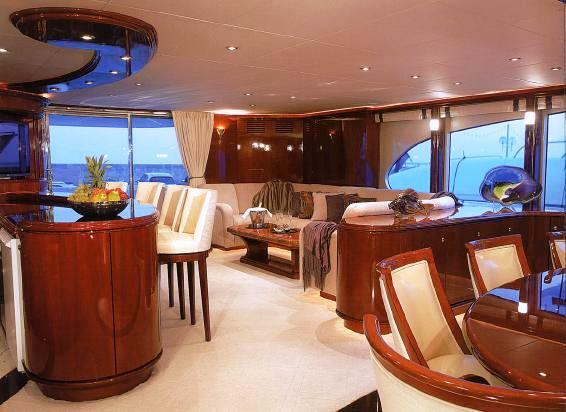 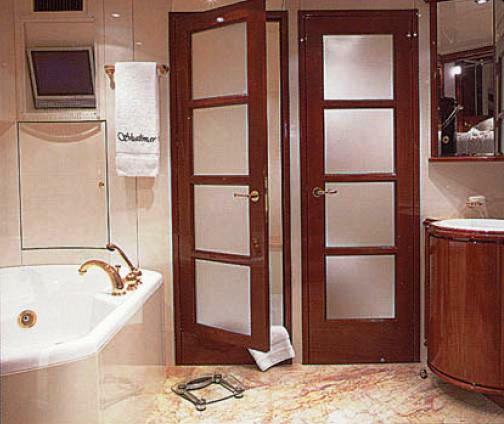 Motor Yacht NO RULES (ex Shalimar) offers luxurious accommodation for up to eight guests. 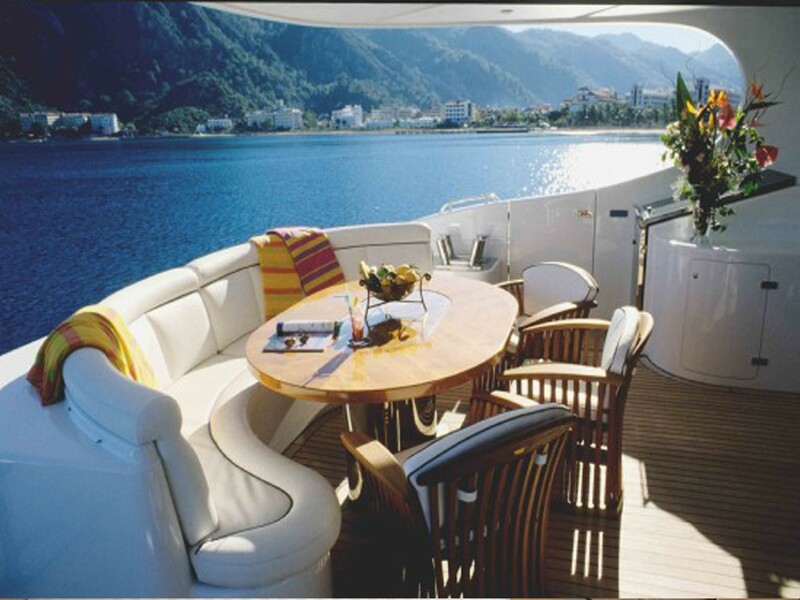 The owners´ cabin is positioned right up on the main deck and thus boasts excellent panoramic views. 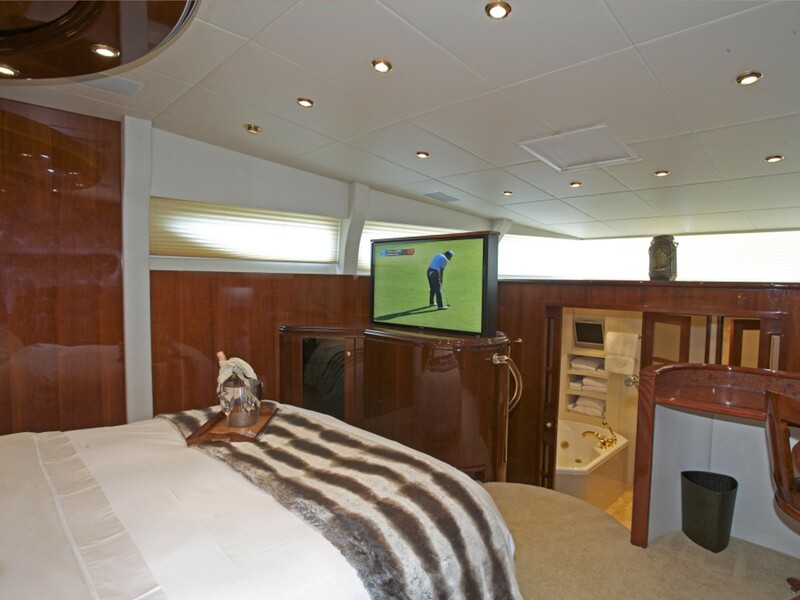 This master cabin includes a huge ensuite bathroom. 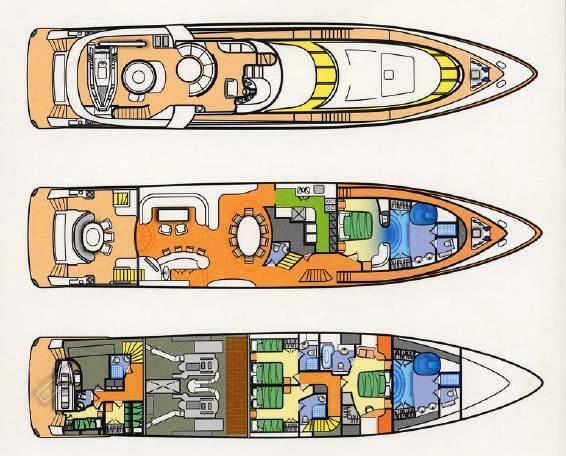 There are also two roomy twin cabins and one double VIP cabin. 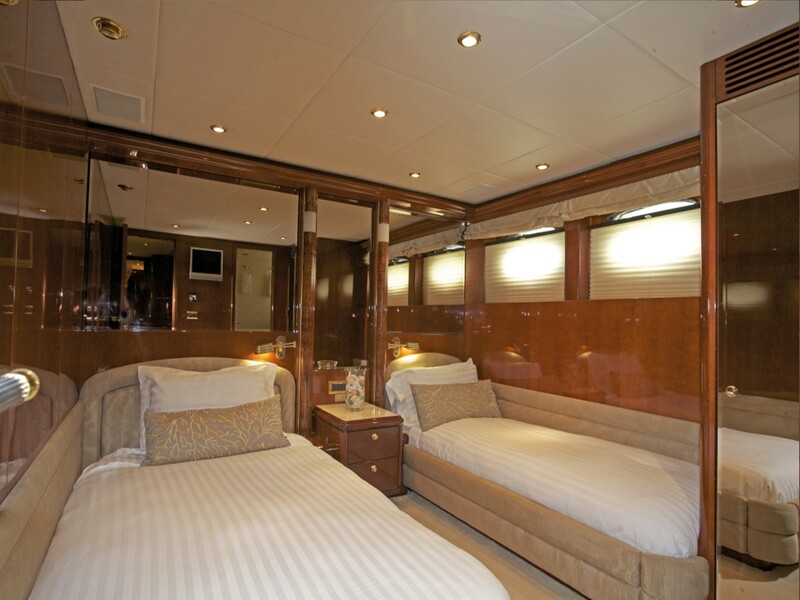 Each cabin offers individually controlled air conditioning for everyone’s personal comfort levels. 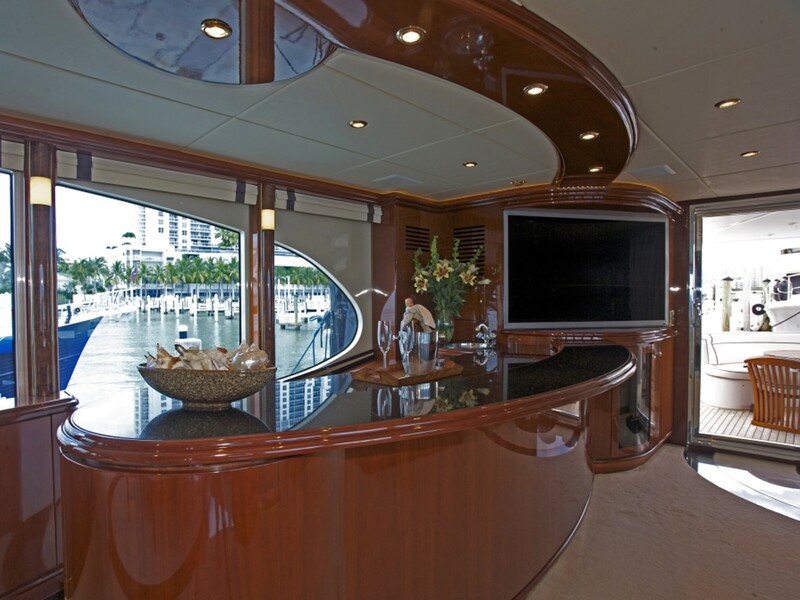 Another great feature in the superstructure design is the giant teardrop side windows in the main saloon which give the yacht unique looks and superb natural light and exterior views. 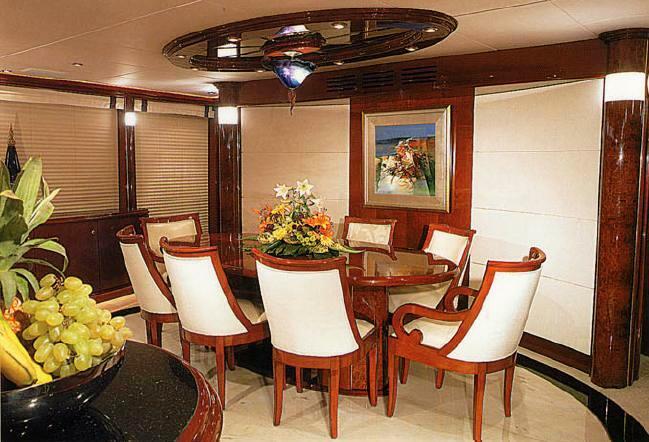 Her main saloon integrates a social bar area and a formal dining area for eight people. 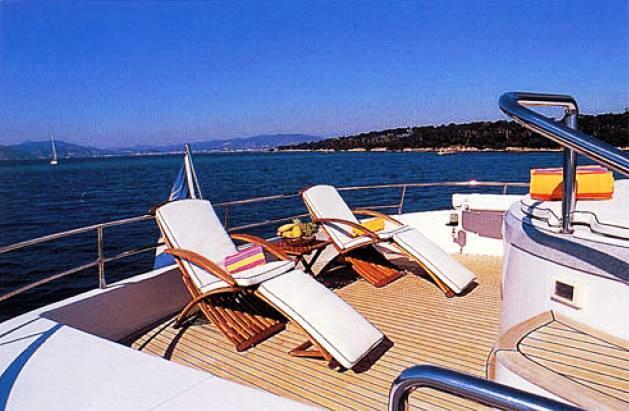 For shading the guests from the harsh sun the top deck is partially covered for those who wish to relax without over heating. 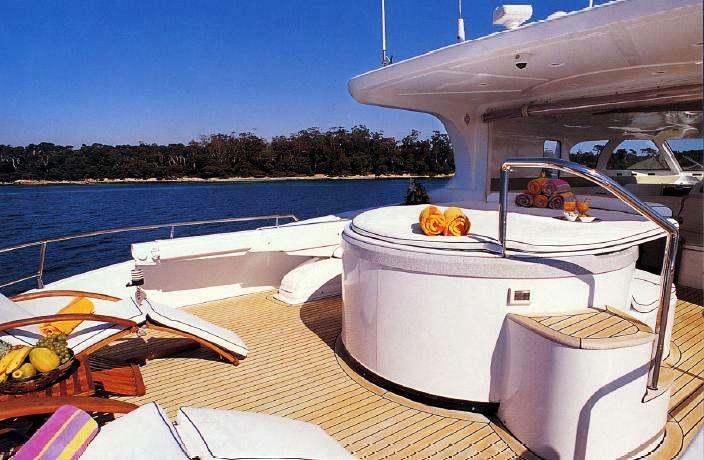 The top deck also includes a Spa Pool which can be easily transformed into a sun bed for those who wish to sunbathe. 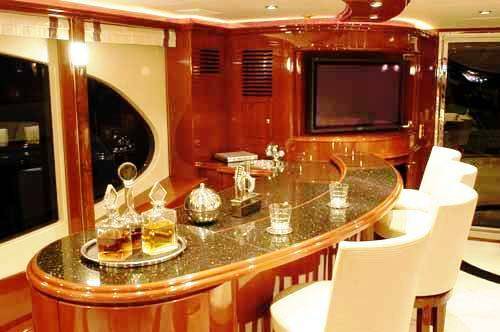 NO RULES contains all the latest electrical entertainment equipment including plasma screens, internet connections and satellite TV & communications. 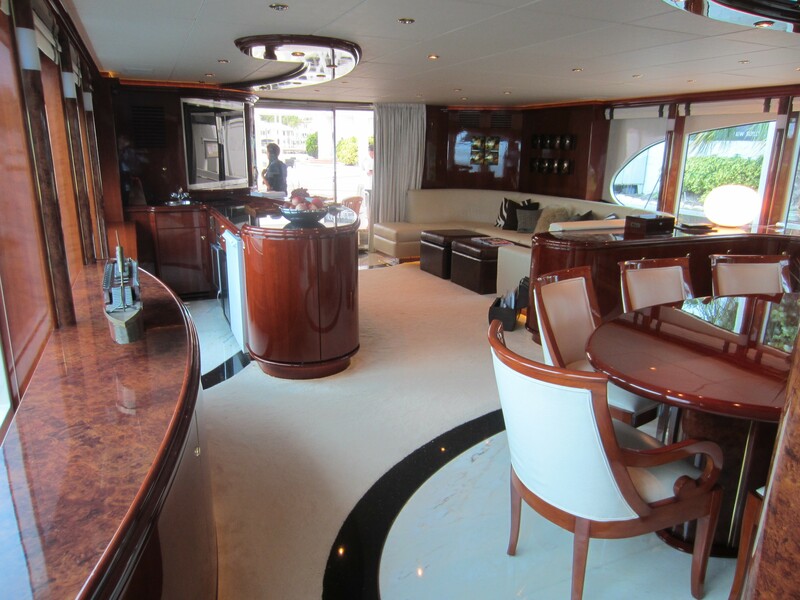 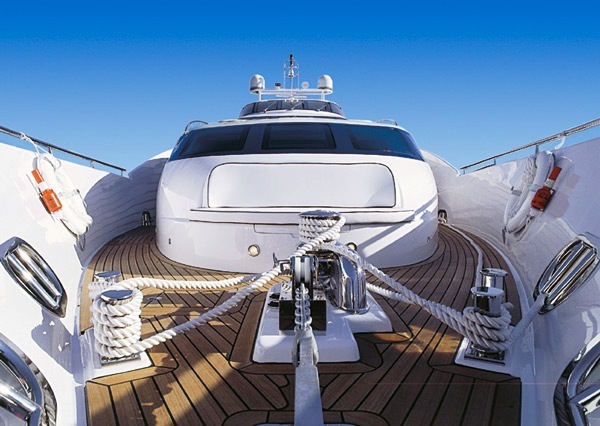 A complete range of 'toys' is also available on board the yacht. 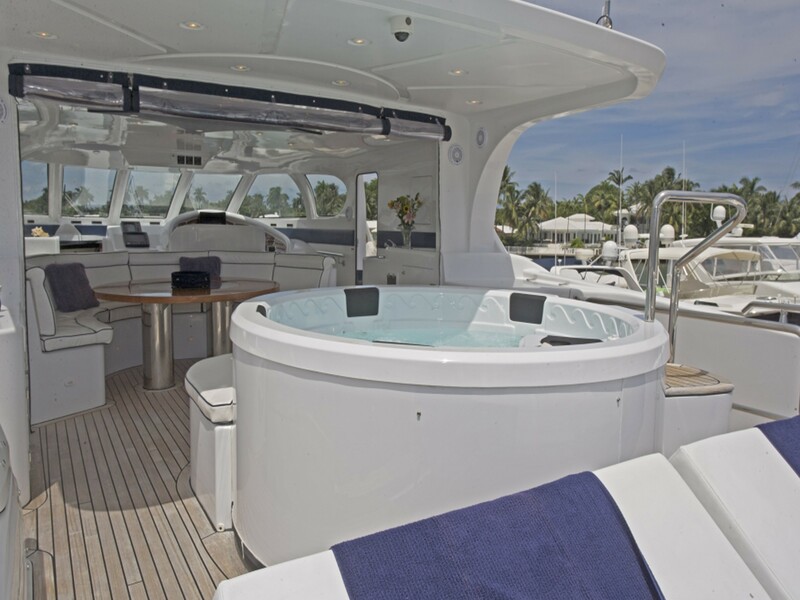 While the aft swimming platform provides easy access to the water or tender and wave runner, the yacht also has an aft garage. 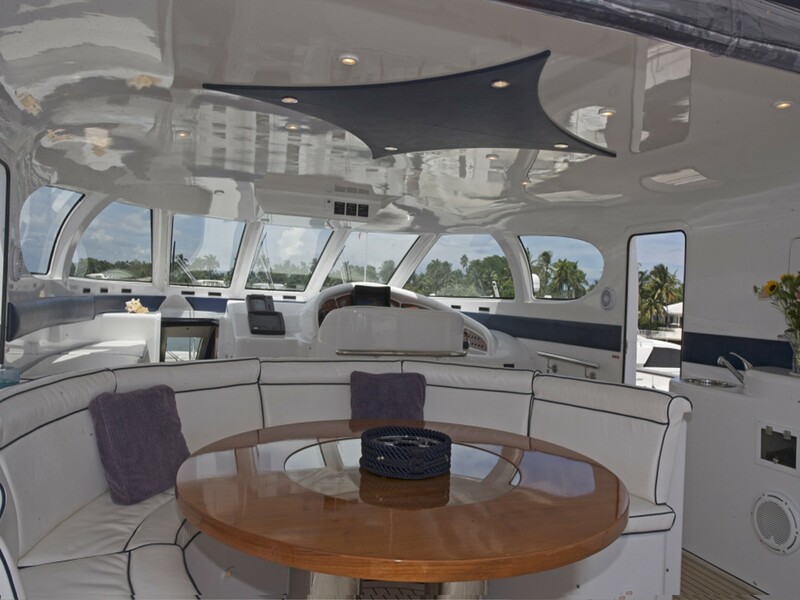 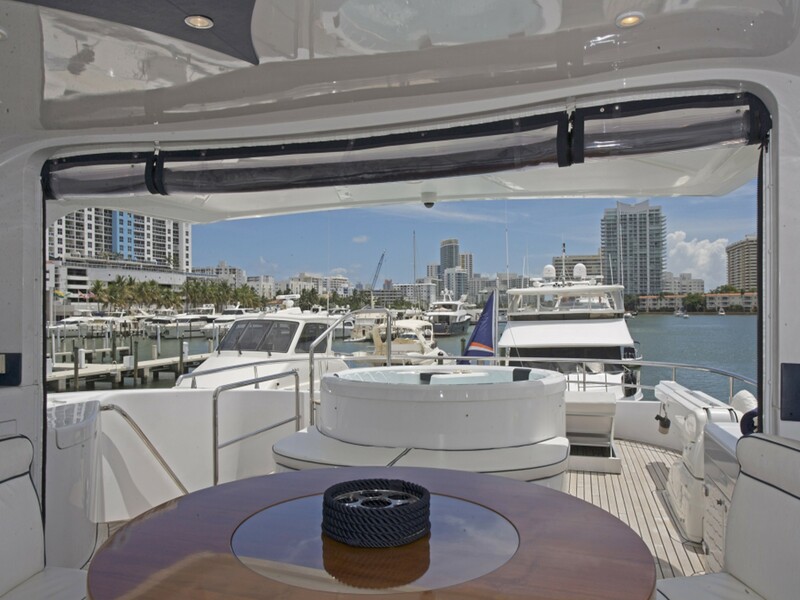 Motor yacht NO RULES has an excellent lively and fun crew of five who look forward to welcoming you on board and creating the best possible vacation. 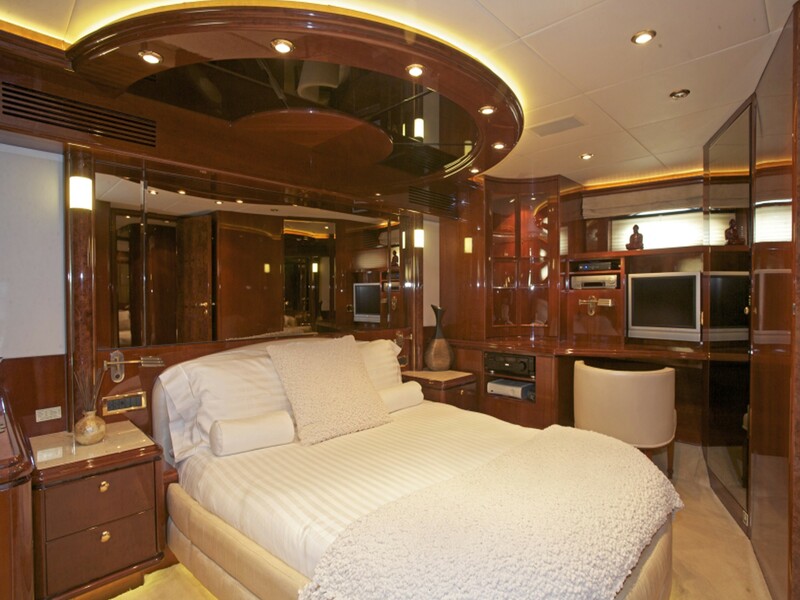 Motor Yacht NO RULES provides a first rate interior with luxurious accommodation for 8 guests in 2 double rooms and 2 twin cabins. 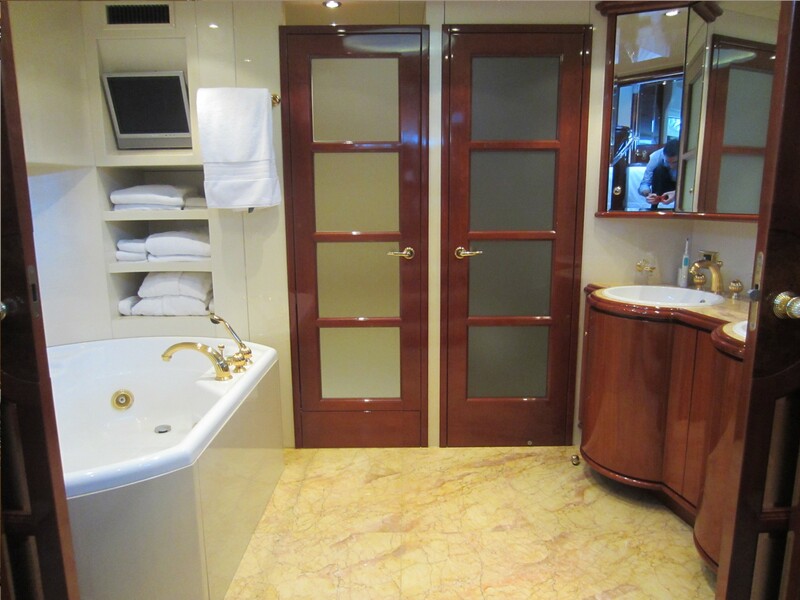 Master cabin, bathroom ensuite, VIP double and 2 Twin Guests Cabins. 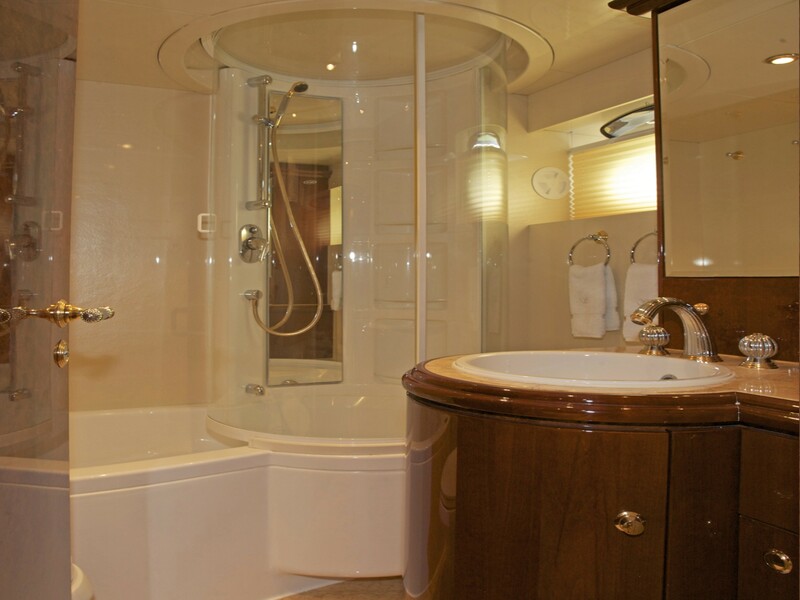 All cabins have their own personal en-suites. 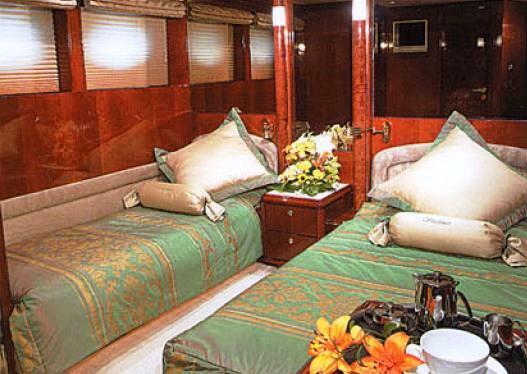 Crew accommodations are separate. 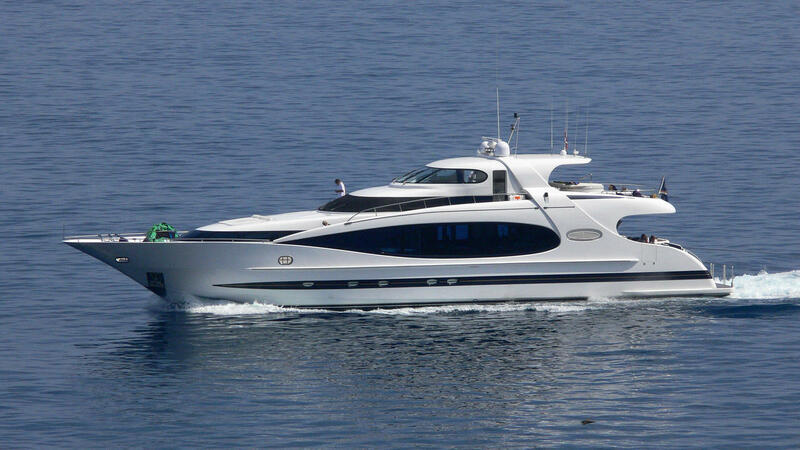 Mediterranean Luxury Motor Yacht NO RULES offers the following amenities and extras: Updated equipment includes plasma screens, internet connections and satellite TV/communications, Mini M satcom Cellular phones, 13.1Ft (4m) Avon RIB with 50hp (30 knots) Yamaha O/B, Waterskiing and wakeboard, Donut Yamaha 2-seater wave-runner GP800R, Snorkeling equipment, Spa Pool on upper deck, Teak swimming platform, 46Inch. 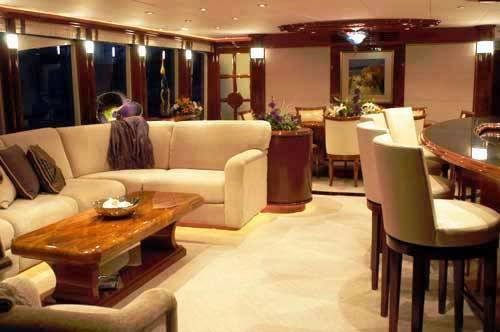 plasma screen in saloon, Satellite TV, 46" Plasma screen in saloon, LCD TV in VIP and guest cabins, and independent Air Conditioning.